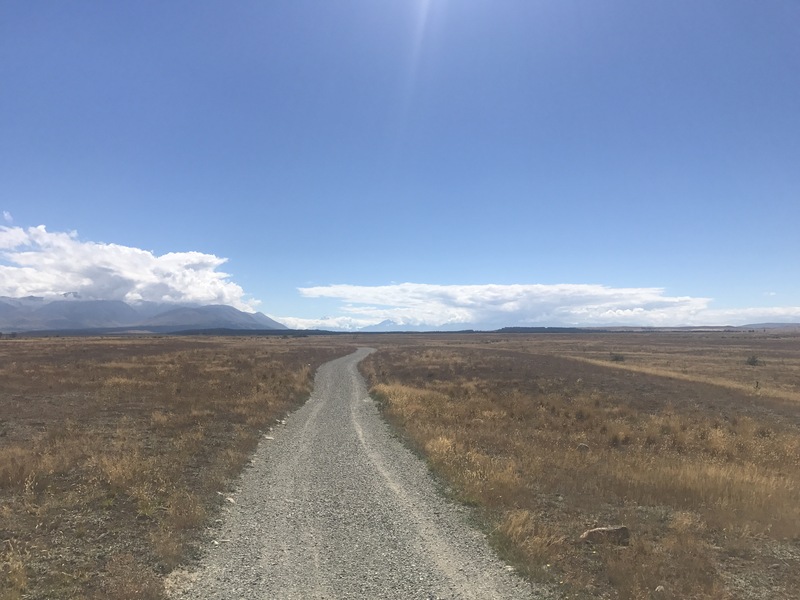 Today was a not a trail day, per se: three of us hitched directly from Tekapo to Twizel, while Jasper instead rented a bike and rode along the real trail connecting the two towns, a road and trail path largely along the Tekapo canal. 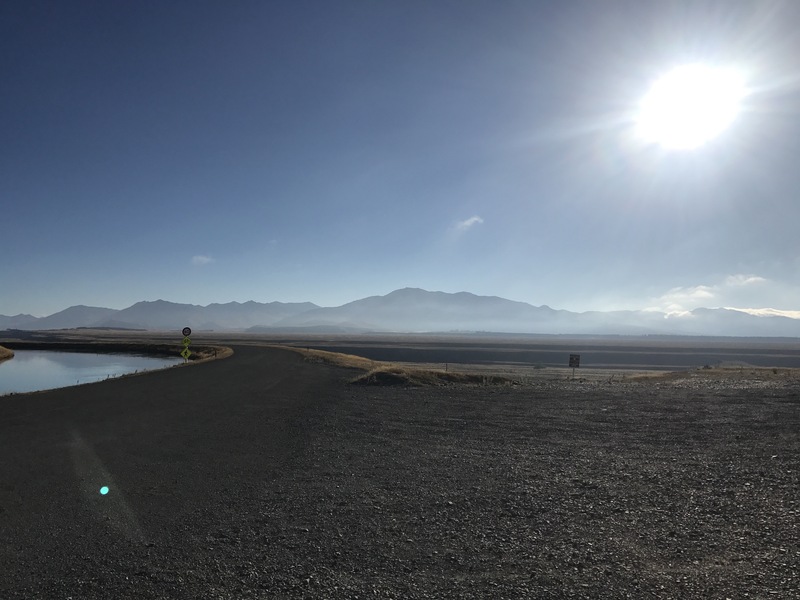 Nowhere is the real trail in any cool mountains or anything (but it’s all pretty), so we didn’t feel bad replacing a super flat long road day (59 km) with the same distance and through the same places just on wheels of another variety. 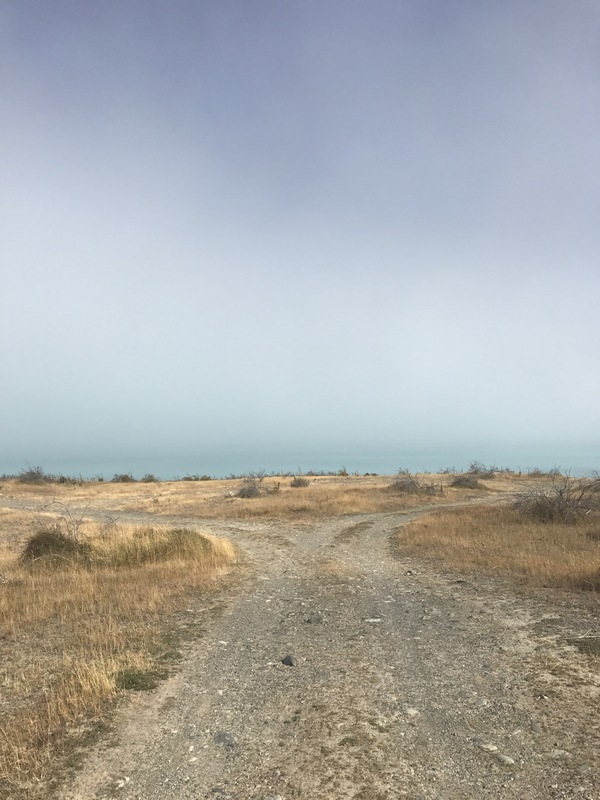 We woke up in the holiday park in Tekapo, the three of us (and Thomas and jack) an hour or two after Jasper, and packed up camp and went to get some meat pies downtown. 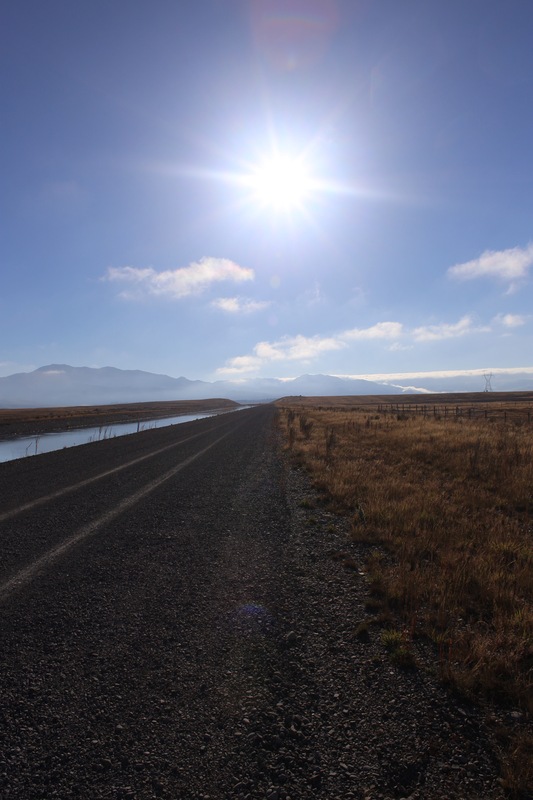 By 9 or 10 we had said our good-byes to Thomas and Jack who were hitching the opposite way, into Methven to try to retrieve their van at the Glenrock trailhead where we started hiking with them, on the Rakaia; we had started hitching as well, heading south on SH8. Shepard was alone, a couple hundred yards before me and Jack, and he ended up getting picked up about an hour before us two, who had to really try hard and break out our best and most desperate dance moves to impress anybody enough to pick us up. We noticed that the traffic here is almost entirely tourists, so we felt confident in our more flamboyant tactics, which certainly would have been less successful in a more local-heavy area. 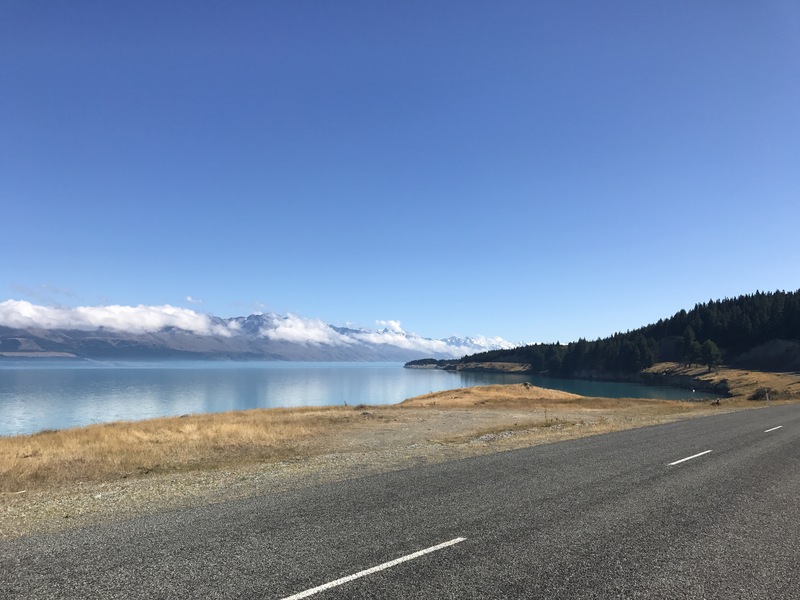 We eventually caught a German guy named Lucas leaving the holiday park who was heading to Lake Pukaki, and we convinced him to go eight or so km more into the town of Twizel which isn’t on the lakefront. 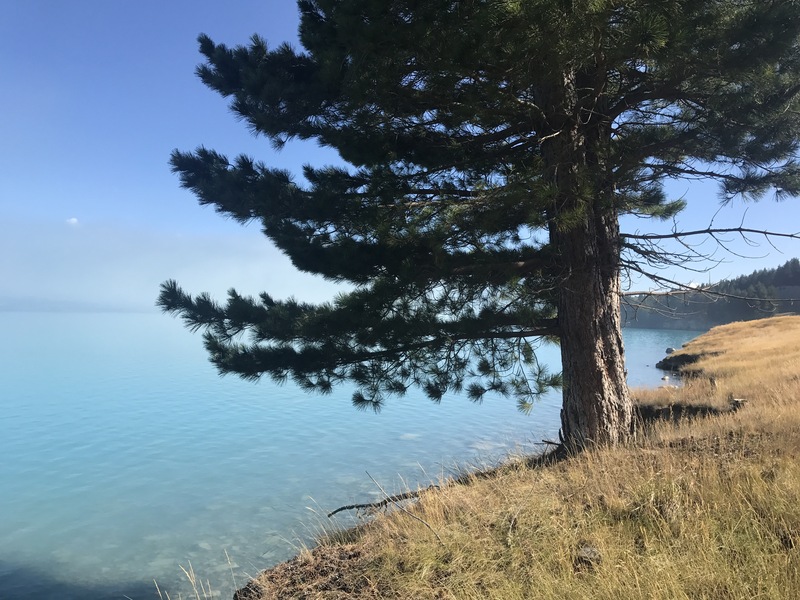 It was only a forty minute drive and we passed by the beautiful lake Pukaki, also blue glacial water like Tekapo, and also saw Jasper on his bike, before Lucas dropped us in downtown Twizel which is a tiny shopping center with two 4 Squares for some reason. We met up with Shepard in the holiday park where he got us a tent site and waited a bit for Jasper to arrive and return his bike to the rental company. By then it was early afternoon and we embarked on our first big resupply since in Nelson when we shipped food for a month ahead in boxes. 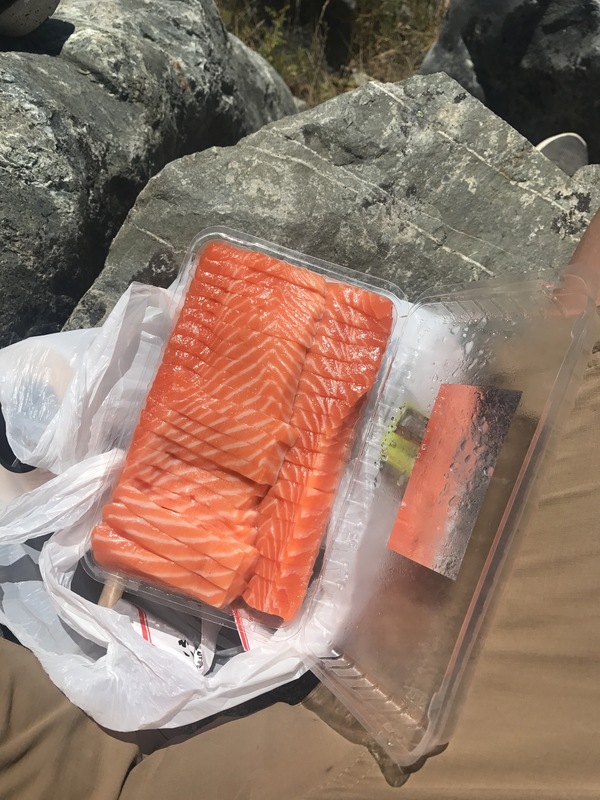 We spent an hour or so at the 4 Square and got five days of more interesting food than what we’ve been eating from our bounce boxes, and some nice produce and materials for dinner tonight as well. And the biggest surprise of the day was the unexpected reappearance of Thomas and Jack, who strolled into the kitchen as we ate our deluxe spaghetti, having gotten all the way to Methven so quickly that they could hitch up the deserted road to the trailhead up the river and retrieve their van, which did not fail to start, as was feared, and drove the three hours all the way down here! 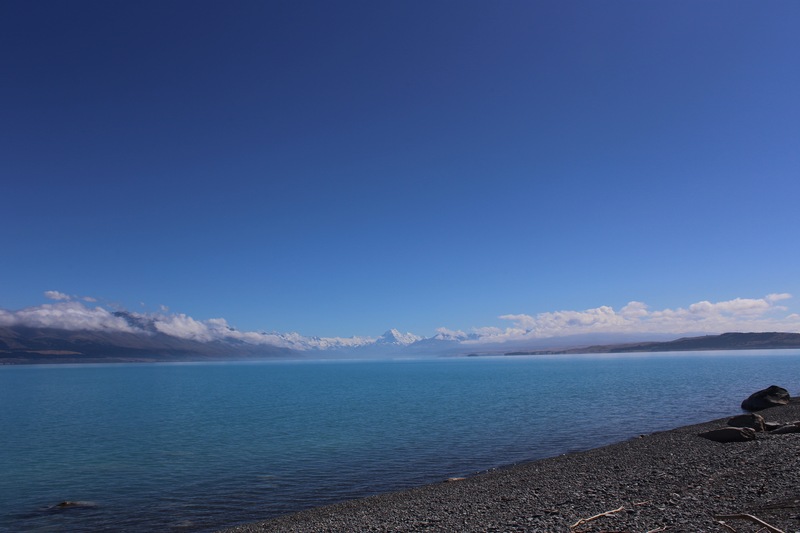 They will drive down to Dunedin tomorrow to meet a friend but not before helping us get to Lake Ohau in speedy style. This two or three day section between Tekapo and the next alpine section, the East Ahuriri track, is mostly all flat plains road-walking, which would quite honestly be not the smartest move for us to walk all or most of, especially with Jasper’s recent foot and heel pain and our intentions to complete the trail on a pretty fast schedule from here on out (for which we would love to be in good bodily health). 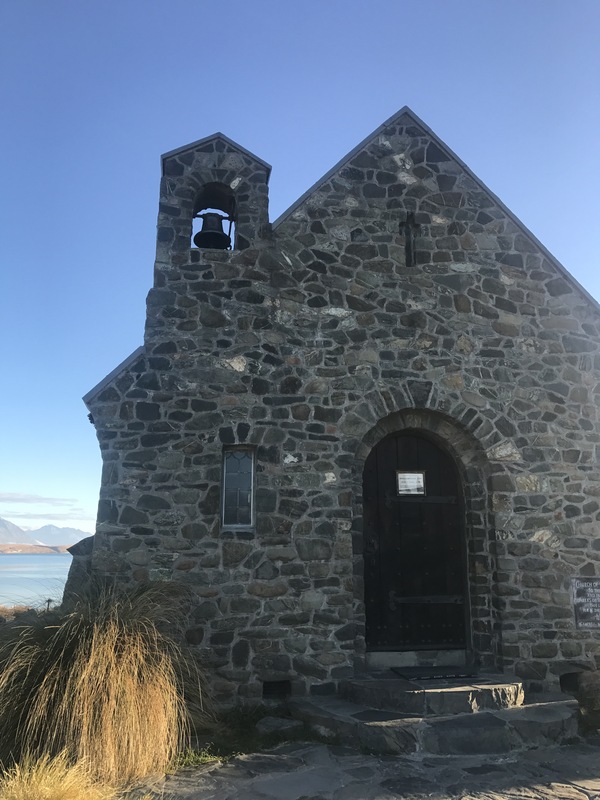 So we’re excited to do some real walking once we get to Lake Ohau tomorrow, and excited to get back up into the mountains tomorrow or the next day! It’s also exciting that weather isn’t a huge worry anymore – not because of the terrain but because I think we’re fully in more eastern, late-summer weather patterns, so the next six to ten days look very sunny and hot (as reliable as weather forecasts here can be…).